the amount of reagent used must be adjusted according to the speed of reaction of the various pollutants. 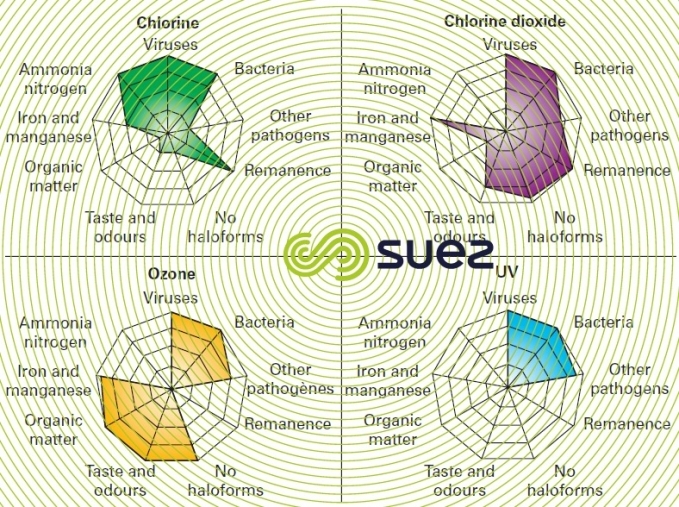 Utilisation conditions have been described in chapter oxidation-disinfection together with the technical limitations applicable to the use of oxidising agents. 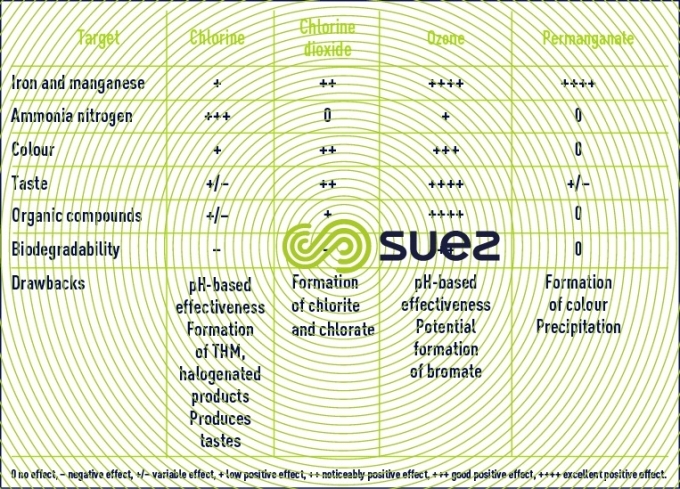 Figure 98 shows the advantages and limitations of the main oxidising agents currently used. The water treatment operator is compelled to combine one or more means that are available to him in order to optimise treatment systems.